Vom 09. - 18. Juli 2018 war ein Team aus Therapeuten zu Gast in Afrika. Im Rahmen der Hundertjährigen Feierlichkeiten von Nelson Mandela wurde ein Trainingsprogramm - in Absprache mit dem Hilltop Empowerment Centre of Eastern Cape South Africa, mit Rommel Roberts und in Partnerschaft mit Co-Willing und seiner Präsidentin Susi Gubler - zum Thema Philosophie der Myoreflextherapie, KiD-Übungen, Kinesiologie, u. a. veranstaltet. Vielseitige Fragen und vielseitige Antworten ebenso wie viele Übungen wurden beantwortet, erklärt und gezeigt. "The interaction of the team was very intuitive and always in a supporting and helpful spirit." "I am very sure, if the 24 amazing humans which we´ve been teaching and talking to during that very short period of time, use their knowledge to help themselves and their families and friends, it will change the life of many humans out there." "I have been suffering for years with my pain and now, after just one treatment, it is gone - how is this possible?" "I was at Konstanz and heard the basic advice with some suspicion but gave it a try nevertheless, as none of the doctors could heal my problem. 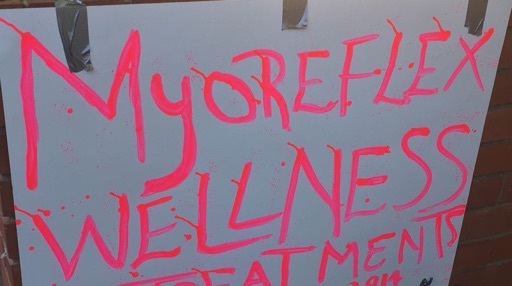 I came here to Grahamstown to give feedback on the remarkable success of the Myoreflex methodology that has completely changed our family´s life style and health in a unique manner - thank you so much!" 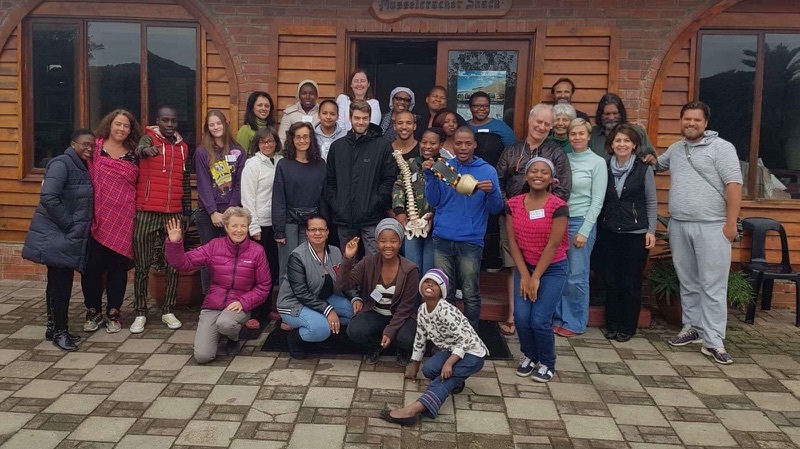 "My experiences and observations are that every trainee/participant at the Woody Cape venue has been deeply impacted by the entire 5-day-training experience. Learning new wellness and treatment techniques and integrating the Glycoplan diet and nutritional lifestyle changes which started within the first days of the training, which has reshaped each participants awareness of the healing power of food, supplements, use of water, oxygen, stretching and exercise. The entire training experience at Woody Cape revealed massive lifestyle changes, new sustainable learnings in some depth and the release of many emotional blocks and physcial pain. This was the most impactful training that I have experienced to date in my life. It was rooted in expertise, professionalism and unconditional love."